I know it has been awhile since my last post. Sorry about that, life has just been a bit crazy lately. 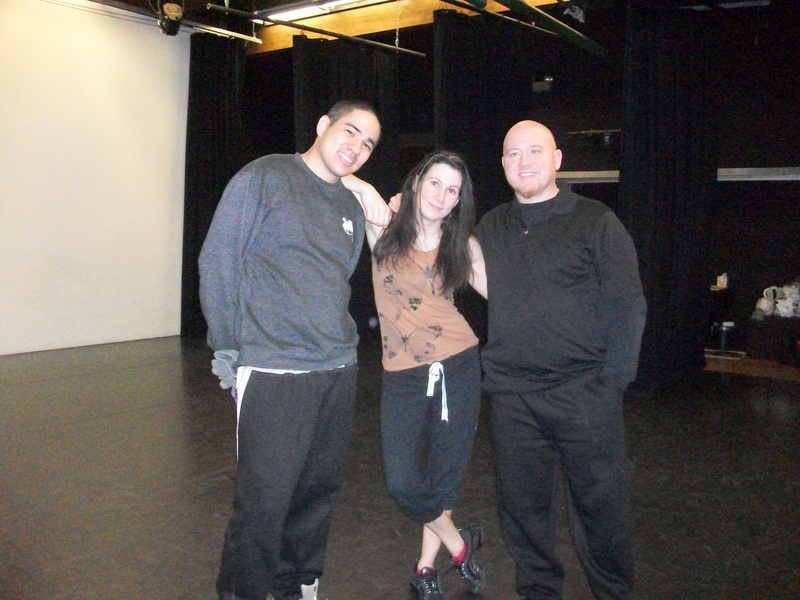 This break I had the pleasure to work with Jeremy Knutsen and Jordan Julian in the middle schools of Fairbanks. They are two wonderful hip-hop teachers and choreographers that came up from L.A to teach workshops at a local studio and teach dance at Tanana and Ryan Middle Schools. Working in the schools was fun and tiring! Every class I did the sit-ups and push ups with them, so by the end of the two weeks I had done over 5,000 sit-ups. Jeremy and jordan’s styles contrasted each other nicely, and I learned a lot from them. Good luck Jordan with the ABDC tryouts, and hopefully we will see you back up here for Summer Fine Arts Camp. On another important note, dance classes have started back up at the dance hall! I encourage showing up at least ten minutes early!!! In the Jr class we work on everything from breakdancing, tutting, waving, gliding, to popping, locking, choreography and much more! My adult class is more choreography orientated. We do work on specific techniques that apply to the choreography piece we’re doing. There are many performance opportunities as well. Speaking of performing, my adult group the Dance Revolution Crew will be performing this Sunday at the Night of World Dance fundraiser for the American Cancer Association. We are performing a fantastic piece!! The best yet! I hope you are able to come out and support some fantastic local talent and its all for a really good cause. Show is at the Civic Center in Pioneer Park at 1:00! The Dance Revolution Crew did a fantastic job and had a great time performing for and teaching The Northern Lights Council of Dancers and affiliates some basic Hip Hop moves. The response was wonderful. 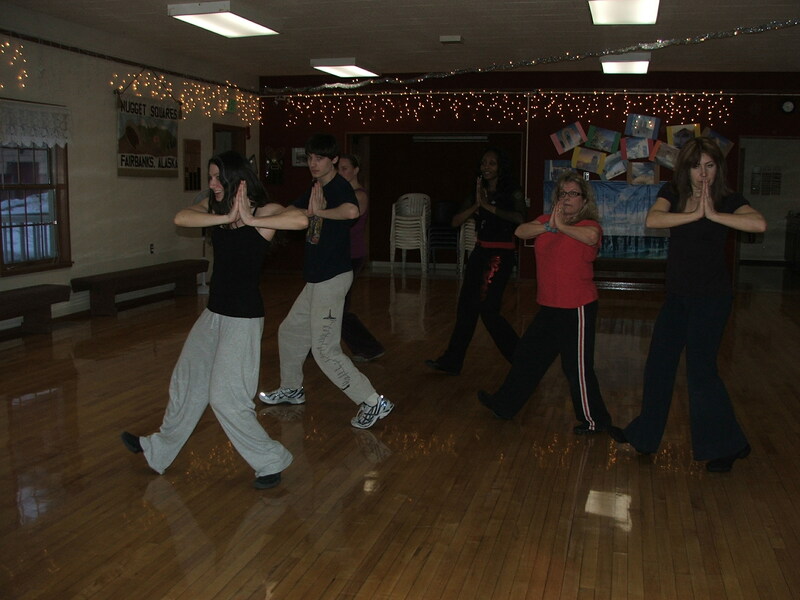 Likewise the Dance Crew participated in demonstrations of Contra dance, old English style round dance, Thai Chi, and Waltz. The night was a lot of fun. We would have taken pictures to post but we were too busy dancing and didn’t think about it until later. Thank you Northern Lights Council of Dancers for hosting such an awesome educational dance event. Looking forward to next year!! 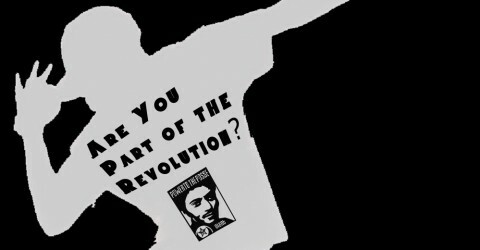 Dance Rev Crew Looking for Dancers!! The Dance Rev Crew has many oppurtunities to perform coming up. If you like to dance and to show your swag on stage come on by Thursdays adult class. We have performances coming up at the Cham Fashional, Faery Tales, Misc. Sports Halftime shows, and you never know what else.